Prudential Ride London - Surrey 100... Enter and Pay Online At Anytime! at World Alpine Ski Championships! Menna, only 20yrs old, and part of the Get Kids Going! 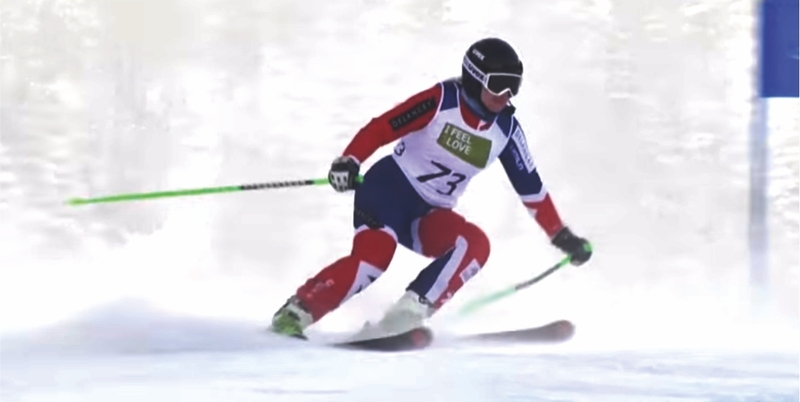 supported team of athletes, skied her way to victory in both the Downhill and Super-G events taking two golds for Great Britain! 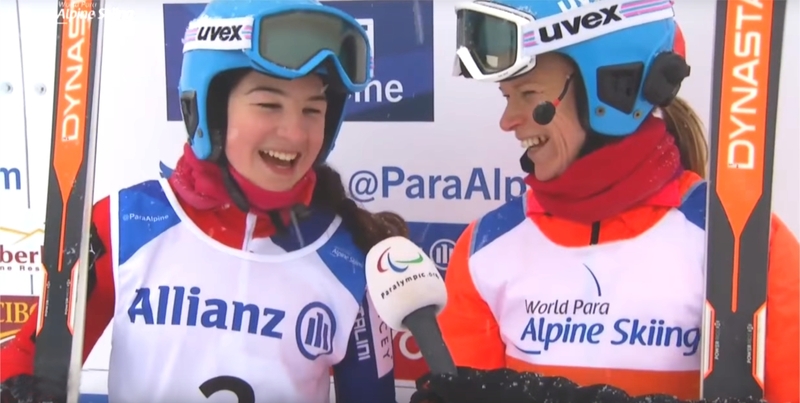 Menna also went on to claim a silver in the Slalom and Super-Combined events and then a bronze in the Giant Slalom - what a fantastic result! 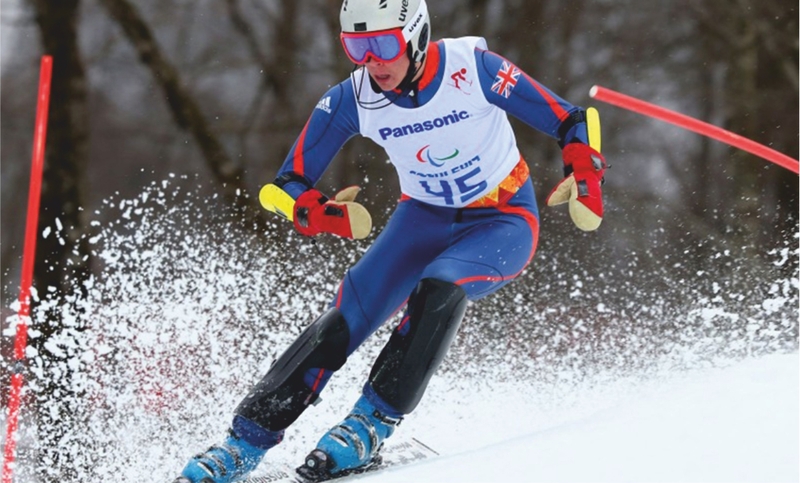 Menna's achievement of winning the two World Championship golds meant she became the first British Paralympic skier to hold both World and Parlaympic gold titles following her gold medal win in the VI Slalom competition at the Pyeongchang, Winter Paralymipics in March last year! We are delighted to see that Menna and her guide, Jen, are fast becoming a force to be reckoned with on the ski slopes in whatever country! The charity was also delighted to see that Get Kids Going! Ambassador and VI Skier, Kelly Gallagher, and her guide Gary Smith, made sure that the Get Kids Going! VI ski team had an even better result by picking up a silver in the Downhill and two bronze medals in the Super-Combined and Super-G events! This means that Menna and Kelly won eight World Championship medals in total! To finish things off a little more, James Whitley, age 22yrs, another of the Get Kids Going! sponsored Para Ski Team athletes came fifth in the men's super-combined standing so edging himself ever closer to the world medal rankings! The Get Kids Going! team, back at base, send all good wishes to Menna, Kelly and James for their fantastic performances at this year's World Championships and said "we are all absolutely thrilled and very proud!" Get Kids Going! is delighted to say that is has given over £250,000 to support and encourage our many wonderful, young, disabled skiers over recent years. Get Kids Going! is a national charity which gives disabled children and young people - up to the age of 26 yrs - the wonderful opportunity of participating in sport. We provide them with specially built sports' wheelchairs so they can do: athletics, marathons, tennis, skiing, rugby, sailing, boccia, basketball, sledge hockey, table tennis, fencing, shooting, archery, powerlifting and many more sports. Get Kids Going! inspires British disabled youngsters to compete in sporting events, from start to paralympic level, by also giving them sports grants to help with their; training, physiotherapy, travel, competition fees, design and development of sports' equipment etc. With your help many can become world record holders and paralympic champions!. Our aim is to give support to all our budding paralympians in the build up to the 2020 Tokyo Summer Paralympics, the 2022 Beijing Winter Paralympics and many more such events. Like any aspiring athletes all our youngsters need long-term support, often over many years, to achieve their sporting dreams. Sadly, we are aware of cuts in funding for such youngsters from the government and other sources, and so many of our youngsters are forced to rely on friends and family for financial help. As you can imagine, this causes enormous burdens on many, already cash strapped, families and a constant worry as the cost of participating in their favourite sport is forever increasing. There are hundreds of talented, disabled, youngsters who have the potential to participate in events throughout the UK and all over the world but receive either none or very little funding and are desperate to achieve their life-long sporting dreams. With your help, together we can turn their dreams into reality and help make them into sporting heroes! Not only does Get Kids Going! focus on helping disabled young athletes but it also provides manual wheelchairs for children to use every day; at home, at school, and to enable them to play with their friends. These are our wonderful athletes of the future! We believe that all disabled children and young people should receive the right equipment to get them going!. We support children with all disabilities and from all backgrounds. We take pride in ensuring that any equipment which is out grown is recycled to other children, so our supporters' valuable donations are never wasted. Many people who support Get Kids Going! feel a marvellous sense of achievement and satisfaction. They see that even the smallest donation makes an amazing difference! Get Kids Going! gives disabled children and young people the chance of a life time, freedom, and many wonderful opportunities that you and I take for granted. Opportunities they may never have without you and the support of Get Kids Going! No other charity in the UK focuses on helping disabled children and young people with sport in the same way. The cost of a bespoke sports wheelchair is about £4,000. A lightweight manual wheelchair is around £3,000. All are designed individually, and perform just like a Formula 1 Racing Car!. The cost of a sports grant can be anything from £500 to £15,000 per year for each youngster. In general there are over 200,000 disabled children and young people in Britain who need the help of Get Kids Going!. Please help us turn their dreams into reality!. Our work would not be possible if it wasn’t for the hundreds of runners who support Get Kids Going! throughout the year by running the Virgin Money London Marathon, Paris Marathon, Berlin Marathon, New York City Marathon, Royal Parks Foundation Half Marathon, Paris Half Marathon, Richmond Festival Half Marathon, Great North Run, taking part in Ride London 100, L'Etape du Tour and the many other events and marathons worldwide. And also the numerous companies, trusts, schools and individuals who kindly give us such valuable donations and support. We’d like to say a ‘big thank you’ to you all.